We release David Beach's fourth collection of sonnets this month. Jerusalem Sonnets, Love, Wellington Zoo contains series of sonnets that tackle these three topics in turn. We asked David to talk about this form, and why he can't keep away from it. "Apart from that I can’t write anything else the reason I keep writing sonnets is that it’s a particularly useful form if unity is the thing you’re most aiming for. Too much shorter than a sonnet and there just isn’t enough of a poem for the unity to seem meaningful. Too much longer and the sharpness of the unity starts to blur. And unity appeals because with that as its engine a poem writes itself (slow though the process might be), the conscious mind put in its place as the lackey of the subconscious." Our blog this month features a piece written by David about the form and his obsession with it which you can read here. 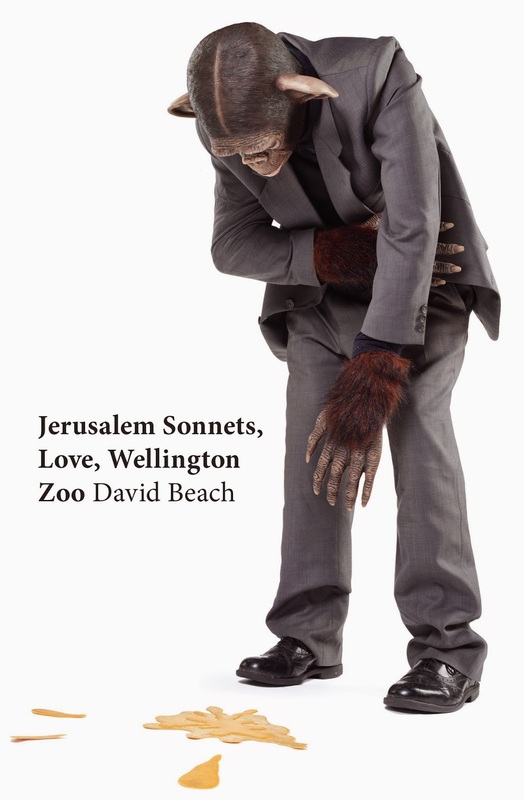 Jerusalem Sonnets, Love, Wellington Zoo will be in good bookshops on 7 May or you can order it through our online bookstore here. Songs of the Ghost in the Machine by Roger Horrocks is a free-wheeling philosophical poem that emerged during the walks he took over one year of his life. About the book, Roger says that writing poetry is almost always a process of looking inside. "This time I wanted to go deeper and ask basic questions about what it’s like to be alive, the rock-bottom facts of human life. Scientists have a lot of interesting things to say on the subject, and I quote some of them, but the way we all consciously experience our lives remains a mystery. Scientists refer to this puzzle – how to get from our physical brain to our personal feelings – as ‘the hard problem'. Some think it’s just an illusion and call it ‘the ghost in the machine’ – hence the title of my book. But as the poet John Donne and the artist Colin McCahon put it, ‘Each of us has one world, and is one.’ This book happens to be my world, inhabited by a freewheeling ‘ghost’, and these are its curious songs." 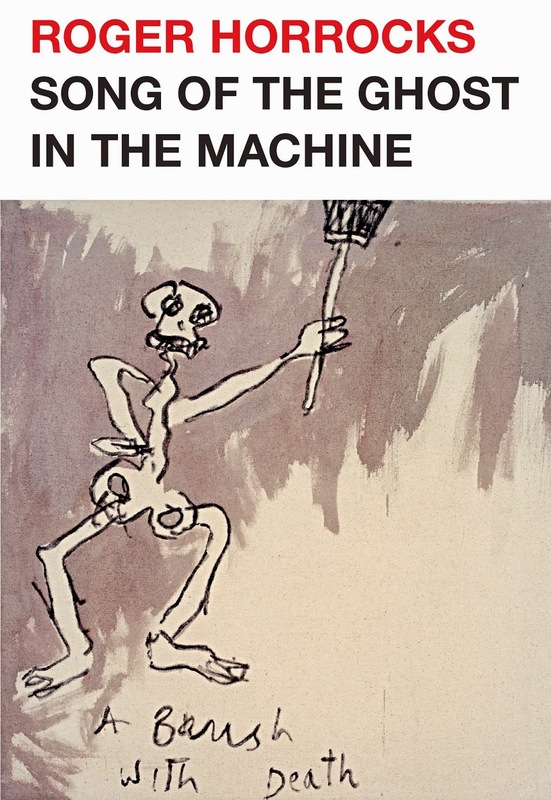 Song of the Ghost in the Machine will be launched by Murray Edmond at Gus Fisher Gallery, Auckland on Wednesday 13 May, 5.45pm. Auckland Writers Festival 2015 fantastic line-up of writers includes some VUP literati. Stephanie de Montalk talks about her incredible memoir, How Does It Hurt? with Deborah Shepard on Sunday 17 May at 10.30am. Helena Wisniewska Brow (Give Us This Day) talks with fellow memoirist, American writer Daniel Mendelsohn about loss, discovery and heartfelt family matters on Saturday 16 May at 12pm. Bridget van der Zijpp (In the Neighbourhood of Fame) appears in a reading event alongside Australian writer Tim Winton, and fellow New Zealand novelists Tracey Farr and Laurence Fearnley. Wystan Curnow (The Critic's Part) talks about the role of the critic with Shakespeare critic Peter Holland on Friday 15 May at 2.30pm. Airini Beautrais (Dear Neil Roberts) appears in a reading event with international writers on Friday 15 May at 4pm. We're delighted that Caoilinn Hughes is a finalist in the Royal Society Science Book Prize this year for her poetry collection Gathering Evidence. The prize announcement will be made by Dr Philip Ball following his event on Friday 15 May at 5.30pm. Finally, we were excited to learn that VUP's Ashleigh Young is a finalist in this year's Sarah Broom Poetry Prize alongside Diana Bridge and Alice Miller. The prize, one of New Zealand's most generous, is worth $12,000. The three finalists will read in a free session at the AWF15 on Sunday 17 May from 1.30-2.30pm in the Upper NZI Room, Aotea Centre, Auckland. Irish poet and this year's Sarah Broom Poetry Prize judge, Vona Groarke, will announce the winner at this event. AWF15 programme is online here. Join us for a glass of wine as we chat to writers Anna Smaill (The Chimes, Hachette) and Bridget van der Zijpp (In the Neighbourhood of Fame, VUP) about memory, music and fame in an insightful evening especially for book-lovers, hosted by writer Kirsten McDougall at Vic Books, Kelburn. Share in the conversation as Vic Books is transformed into an intimate after-hours readers' salon on Wednesday 3 June, from 6.15pm–7.30pm. Tickets $15 – includes a glass of wine & shared platters, plus 10% off featured books on the night. Tickets are strictly limited and can be purchased on our webpage here. The news hasn't been that good for the NZ literary world recently, with NZ Book Month being put on hold indefinitely, the loss of sponsorship for the Katherine Mansfield short story competition, and no New Zealand book awards to celebrate this year. It's nice to see a small initiative started today on twitter where in lieu of NZ Book Month, people are being encouraged to tweet a favourite NZ book each day for a month using the hashtag #NZBookMonthMay. Also good to see Eleanor Catton's Horoeka Reading Grant website up and running and now looking for editorials on the state of play in NZ literature. Ian Wedde reviews Wystan Curnow's The Critic's Part in Journal of New Zealand Literature, 2015. "...there is not often that I can read with such enjoyment a book built on a theoretical platform I'd decline to share. I think this enjoyment is made possible by the writer's generosity [...] to the objects of his close attention, to his readers, and to his belief in the need for such 'transactional relations.' And, in the end, to his generous fidelity to his own convictions." Susanna Andrew reviews Bridget van der Zijpp's In the Neighbourhood of Fame in Metro, May 2015. "The writing is marked with empathy and perception. Van der Zijpp is good at fathoming the odd ways in which people think and love and miscommunicate, and she puts me in mind of Zadie Smith's writerly commandment that 'the time to make your mind up about someone is never'." You can also hear an interview with Bridget on Radio NZ here. "Regardless of your own experiences with chronic pain, How Does It Hurt? is an important and beautiful book, both tragic and hopeful."